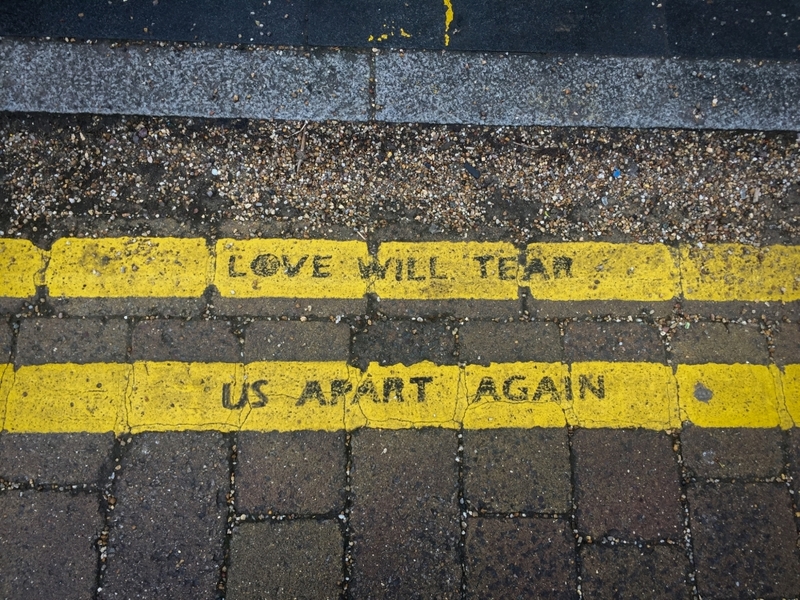 Joy Division lyrics written along the double yellow lines of a no through road in Prestwich Village. If you want the precise location they are across the road from the tram stop, outside a branch of Greggs, near the library. Apparently there are also some Oasis ones in Whitefield.